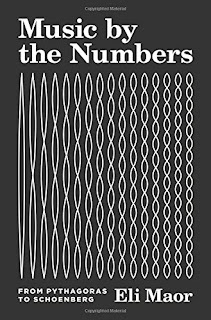 If you wanted to classify this book, you might guess ‘music’ or ‘mathematics’ from the title. Actually, ‘history of science’ is a better fit than either of those. Roughly half the book deals with various ways in which music influenced the development of science. These weren’t always to the good, either. For example, we’re told that Pythagoras – who tried to shoehorn musical and cosmic harmonies into an over-simplified geometric model – ‘impeded the progress of science for the next two millennia’. There are some surprises, too. Fourier analysis, which might top many people’s list of musically-relevant mathematical techniques, was originally developed in the context of the propagation of heat in solids. On the other hand, the world’s first partial differential equation – courtesy of d’Alembert in 1746 – really did come out of music theory. Personally I found these insights fascinating, but readers who aren’t sure what Fourier analysis and partial differential equations are might not share my enthusiasm. On several occasions, Maor makes the point that the interaction between music and science was a strictly one-way affair. Science might be informed by music, but music – at least in the period he’s talking about – wasn’t informed by science. That wasn’t entirely for lack of trying, though – Stravinsky is quoted as saying ‘I once tried to read Rayleigh’s Theory of Sound but was unable mathematically to follow its simplest explanations’. So what’s the other half of the book about? This is where the author gets much more subjective and idiosyncratic, drawing various parallels between the history of music and the history of science. Beethoven is likened to Newton, musical keys to coordinate systems, Stravinsky’s abrupt changes of rhythm to non-Euclidean geometry and Schoenberg’s 12-tone system to Einstein’s theory of relativity. It’s this last analogy that gets the longest treatment, in the book’s final two chapters. It’s not quite as subjective as the others, in that it’s backed up by quotations from Schoenberg himself and the famous composer-conductor Pierre Boulez, but they don’t go as far as saying that Schoenberg’s music was directly influenced by relativity. On that issue, even Maor admits ‘there is no hard evidence to suggest such a connection’. The irony is that just as the book ends, in the middle of the 20th century, composers and music theorists really did start to listen to what scientists and mathematicians had to say. 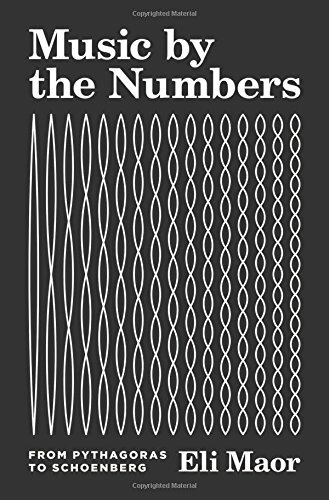 In the preface, Maor makes a brief passing reference to Iannis Xenakis, who took inspiration from things like statistical mechanics, game theory, Markov chains and Brownian motion for his ‘stochastic’ musical compositions – but he never comes back to talk about them in more detail. In parallel, late-20th-century music analysts like Allan Forte drew on the language of set theory and mod-12 arithmetic as a more flexible and powerful alternative to traditional music theory. Let’s stick with set theory for a moment. Picture a Venn diagram with two partially overlapping sets: readers who are interested in the history of science, and readers who are interested in music theory. Is the book going to appeal to the union of the two sets – which is bigger than either audience on its own – or to the intersection, which probably isn’t many people at all? Sadly I think the answer is the latter. Personally, I enjoyed the book – but I’m in that narrow overlap in the Venn diagram.